There’s nothing inherently wrong with living with your parents, other than EVERYTHING! So let’s talk about how to GET OUT! To be clear, I’m going to discuss moving out and buying a place of your own, not moving out and renting, seeing that the latter is fairly self-explanatory. Pay off other debt like student loans, credit cards, etc. While it might not be cool now or ever, living with your parents is actually a really good time to get your ducks in a row before applying for a mortgage. You may be able to save up some dough in the process too. You generally don’t need rental history to qualify for a mortgage if you’ve been living with your parents, though it can help to pay rent beforehand in terms of avoiding payment shock (going from no monthly payment to a very large one). It can also be helpful to move out, pay rent, and live on your own a bit to get a better understanding of what it’s like in the real world. And qualifying for a mortgage might be easier if you have documented rental history. But if you want to go straight from mom and dad’s house to your own house or condo, it’s doable as well. As I alluded to, it can be a great way to set yourself up for success if you do all the right things while living at home. Let’s talk about some of those right moves. Can include credit cards, auto loan/leases, student loans, etc. One key thing you’ll want to do while living at home is build your credit history. This is very important in terms of qualifying for a mortgage, especially if you don’t have prior rental history. If you can’t show the loan underwriter you’ve been able to pay rent on time in the past, they’ll at least want to know that you’ve made good on other credit obligations. This can include credit cards, auto loans/leases, student loans, and so forth. Generally, it’s advised to have at least three of these types of tradelines open and active, with a minimum two-year payment history on each. For example, if you’ve got two open credit cards and a car lease that have all been open for 24 months, you should be looking good in the credit category. That’s assuming you’ve been making on-time payments during that entire period. Note: You don’t need to carry a balance to benefit from these accounts, despite what you might have heard or read. Simply having the accounts open and in good standing is enough. In fact, if your balances are paid off in full each month, you should have more purchasing power for your eventual mortgage loan. I’ve already written about credit scores and mortgages, so review that page to learn more if you have additional questions in that department. Building credit is a somewhat passive activity that happens over time. It’s something you don’t constantly have to worry about as long as you have a few accounts open and in good standing. If you lack rental history and credit history, it’ll just complicate matters when it comes time to apply for a home loan, and it might require you to use a co-signer to get the job done. While you’re building your credit in the background, you should be focusing on saving up for a down payment on your new digs. While there are some no down payment mortgages available, such as VA loans and USDA loans, along with private offerings from credit unions and the like, you should aim to put down at least 3%. For one, you may not qualify for those zero down programs, and if you’re a first-time home buyer, it can show that you’re adequately prepared for homeownership. Having more money to put down is also critical in today’s very competitive housing market, with bidding wars all too common. Home sellers won’t be very impressed if you can’t even muster 3% down, and even then, they might pass you by. When I say 3% down, it’s in reference to the minimum down payment generally required by both Fannie Mae and Freddie Mac to purchase a home. If you go the FHA loan route, you’ll need a slightly higher 3.5% down payment. However, it is possible to use gift funds with these loan programs, so technically you could come in with none of your own money and still move out of your parent’s home, assuming someone is willing to help you. But again, try to strive for better here. Doing the bare minimum isn’t exactly putting your best foot forward. And if you put less down, you’ll wind up with a higher mortgage rate and most likely have to pay mortgage insurance. It’s also helpful to have money set aside for closing costs (financing a home purchase isn’t without costs) and for reserves. 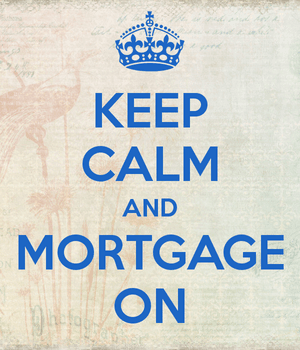 You may need a couple month’s reserves as well to show that you have the ability to make monthly mortgage payments. While you’re at it, take the time to start running some calculations to determine how much mortgage you can afford based on your income, down payment, and DTI ratio. Speaking of income, underwriters generally want at least two years of employment history in the same position or line of work. So if you just got a job last week, that might not be sufficient unless you’re a doctor, dentist, lawyer, or in a similar field that required a lot of training and guaranteed money after the fact. This is why it might be good to live with your parents while establishing employment history, especially if you don’t have much saved up just yet and don’t want to blow it all on rent. Run the numbers through a basic mortgage payment calculator to see what a given loan amount will set you back at a certain interest rate, and also consider using a mortgage affordability calculator to really dig in. These days, there are a lot of great resources available to prospective home buyers, all at your fingertips, literally. Aside from mortgage qualification, which is very important, it’s vital to get a better understanding of how real estate works, the various types of real estate available to you, how to buy a home, and who to use along the way. Start scouring individual listings in areas you’re interested in just to get a feel for pricing. Fire up the Redfin and Zillow apps and start creating saved searches and alerts to see what pops up over time. Then track the listings you care about to see how they turn out. You can see what they were originally listed for and what they eventually sold for, assuming they eventually sold. You can even go to open houses if one is being held (without a real estate agent) and check out the properties to get a really good feel for them. While you’re there, do not feel obligated to leave your information with the listing agent working the open house. It’s okay to be a lookie loo for now. There are a lot of so-called disruptors out there trying to change the classic real estate agent model, but it’s still quite likely you’ll use a real estate agent. Before you even speak to one, it might be advisable to learn on your own and form your own opinions, so someone else doesn’t make them for you. Check out what the houses, condos and townhomes are like at certain price points in your desired locales. See what features matter to you, and how much square footage you might require. You can also see design trends and visualize your ideal living space in the process. Do you have pets and plans to start a family? Do you want to live in the city or the suburbs? What about the schools, crime, etc.? As you conduct your searches and potentially visit properties, you should make a list of what’s important to you and what’s not. For example, do you want a condo or a house? If you have a dog or other pets, you might want/need more space. Do you like city living or suburban living? This isn’t always an option if affordability is an issue, as it’s often a requirement to drive until you qualify to find something suitable. But consider the work commute if you’ve got one, and really study the area you’re interested in moving to. Go during the day, go at night, go during the week and on weekends. Get a really good feel for the city in question, and even the street or pocket the properties are located in. Check out the walkscore and the amenities nearby. Really try to visualize yourself living in a certain area, and not just for a year or two. For several years. Owning is not for everyone! If you wind up having buyer’s remorse, it might be possible to unload your unwanted home or condo. But you could pay the price, literally, via closing costs on both the buy and sell side. And it’ll likely be taxing and a lot of work, assuming you aren’t using a service like Homie, Opendoor, or some other iBuyer. So really take the time to think it through, and try to imagine yourself living in the property for at least five years. While that might not be a requirement, you should at least consider longer timelines because homeowner tenures tend to be pretty long. Finally, ask yourself why you even want to buy a place of your own? Because your friends are or because you’ve thought it through and believe homeownership fits your personality and financial path? It’s probably not for everyone, and while a home purchase is often driven by emotion, it’s important to keep a level head while making this very big financial decision. After all, you don’t want to be tethered to a certain area if you still want to keep your options open. This is especially important for younger home buyers, who may still be deciding where it is they want to live, or what type of industry they want to work in. If you think you’ll move for work anytime soon, it could be smart to pump the brakes on the home purchase and just take a wait and see approach. Of course, it’s always a good time to educate yourself on homeownership so that when you’re truly ready to take the plunge, you can dive in with confidence. Oh, and don’t forget to thank your parents for all those years of free rent!